Besides the students attending the department of CEIT at Anadolu University, replication of the present study with a quantitative survey model to determine the communication skills of preservice IT teachers attending other universities throughout Turkey will help support the results of the present study. Applied qualitative studies to be conducted in various courses for improving the communication skills of students attending the department of CEIT will contribute to the development of communications. The present study conducted with preservice IT teachers attending the department of CEIT in terms of different variables will help determine the other factors influencing communication. ISNAD Karakoyun, Ferit , Yurdakul, Işıl Kabakçı . "Examining Communication Skills Of Pre-service Information Technology Teachers". 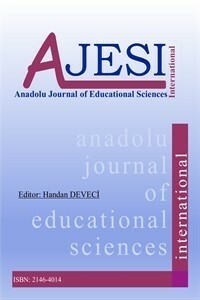 Anadolu Journal Of Educational Sciences International 3 / 1 (June 2013): -.